Before looking for a tenant, every landlord has to prepare their house. Make sure you clean the house thoroughly and check all appliances are in a working condition. Address potential problem areas including roof leaks, clogged gutters, leaky faucets or pipes, electrical outlets etc. Make sure the floors, windows, and blinds are all well cleaned. 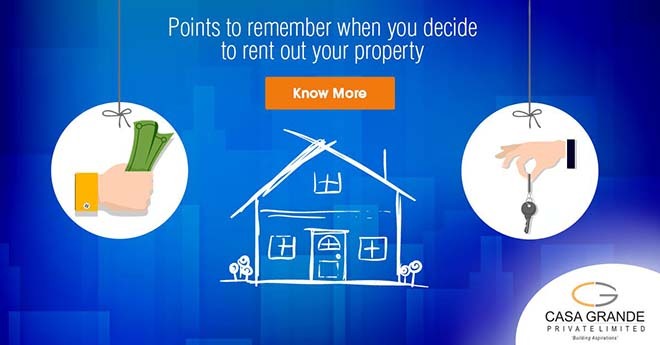 Do a thorough check of the locality in which your property is located and fix the rent accordingly. In this competitive market, you cannot ask for more than the market rate as it will put off potential tenant. However, if the property is well maintained and fully furnished, then you can charge a premium. The rent charged is usually 2.5-3% of the capital value with the location and amenities as the add-on factors. Miscellaneous clauses, including the notice period and any other specific condition both parties have agreed on. After preparing the lease agreement, the most important step is to get the lease agreement registered. Section 17 of the Registration Act states that if the lease period is more than 11 months, then it is compulsory to get the rent agreement registered. Only then it can be used as admissible evidence in case of any issues. According to Section 188 of the Indian Penal Code, it is compulsory to do a police verification of your potential tenant and is punishable by law if you fail to do so. This process lowers the risk of the house being rented out to a person with a criminal background. The process is quite simple – The landlord has to fill out a police verification form and submit it to the local police station along with the identification proof of the tenant. The verification form is also available online on the state police websites. The landlords should visit the house regularly to check if the tenant is violating any conditions or subletting the apartment. If yes, then necessary action needs to be taken. A security deposit provides monetary security to the landlord, in case of any damage to the property. The tenant receives the deposit back at the end of the lease, minus any deductions for repairs/restoration. The amount to be collected as security deposit varies from city to city. In Chennai, a recent ruling by the court limits the security deposit to one month’s advance rent.